#AroundBuffaLowe: Power Up! FREE Lunch Program @ New Beginnings [7.11-8.5.16] – Be Fearless. Be Flagrant. 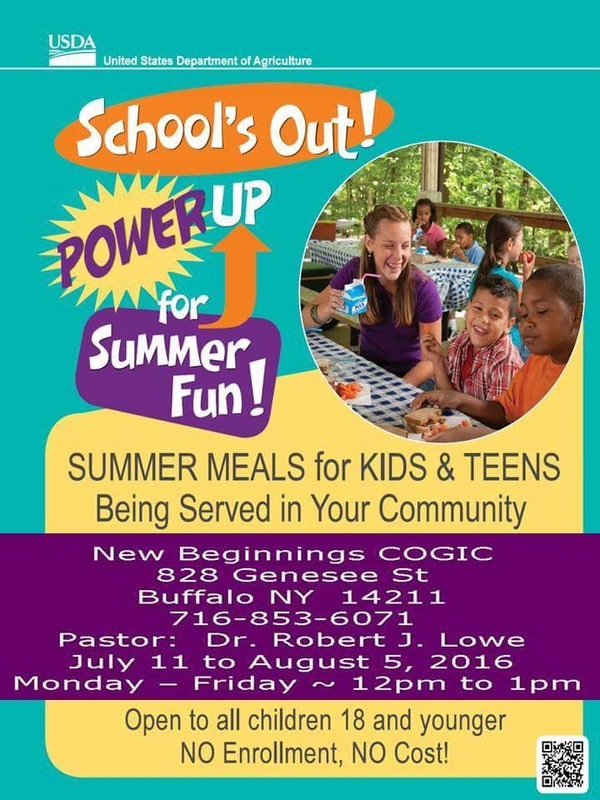 Come out to New Beginnings COGIC located at 828 Genesee Street in my hometown of Buffalo, NY! Here you can receive Free lunch for your school aged children (under the ages of 18)! No enrollment or signup necessary!!! The program runs from Monday, July 11th through August 5th, 2016! Free lunch is available Monday through Friday between 12-1pm! Please call 716-853-6071 for more information! #AroundBuffaLowe: The LIT Lab by Akidemics, Inc!